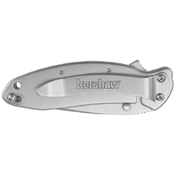 Kershaw Scallion Frame Lock Serr Knife finds its use anywhere, be it a kitchen, a garage or outdoors. As it is made of stainless steel, it is completely stain and dust resistant. 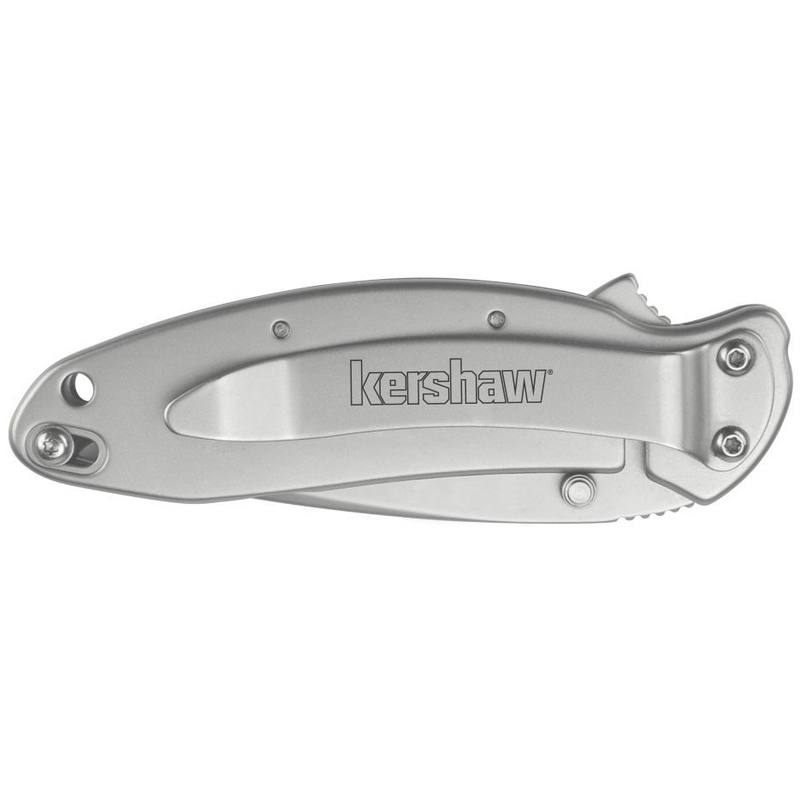 The combination of 410 stainless steel handle with 420HC stainless steel blade gives a classy metallic look. Tip Safety Lock and Removable Pocket Clip ensure ease of carrying. The partially serrated blade enables easy slicing and piercing. The SpeedSafe feature ensures quick deployment. 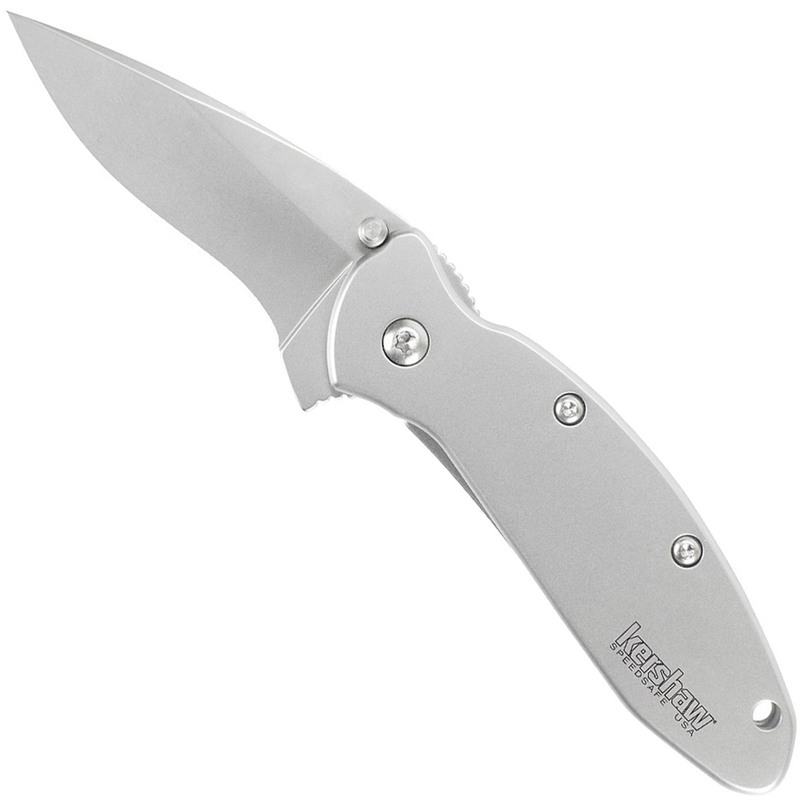 The Frame Lock would firmly lock the blade in place on opening. The overall size of the knife when closed is 3 1/2 " and it weighs: 2.3 oz.